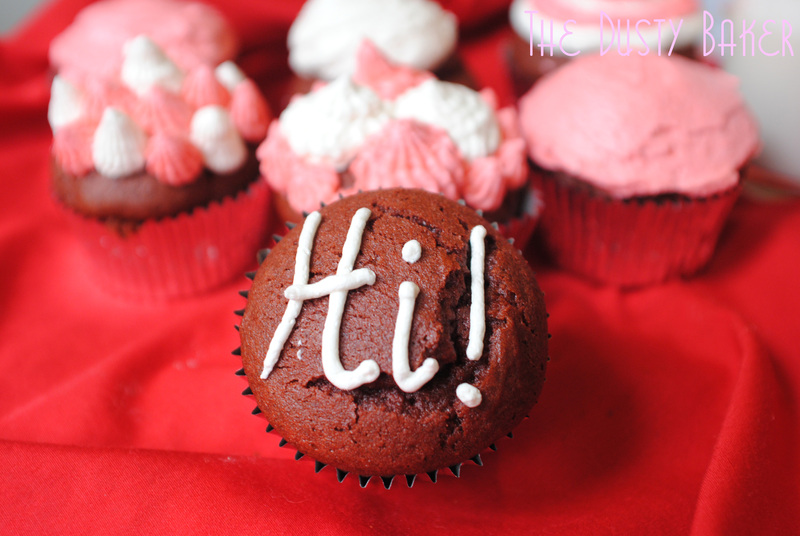 I swear the cupcake insisted that I write that – I was completely at its mercy. Maybe because I ate several of his fellows before changing frosting tips to see if I could pipe letters, which I did with ease. 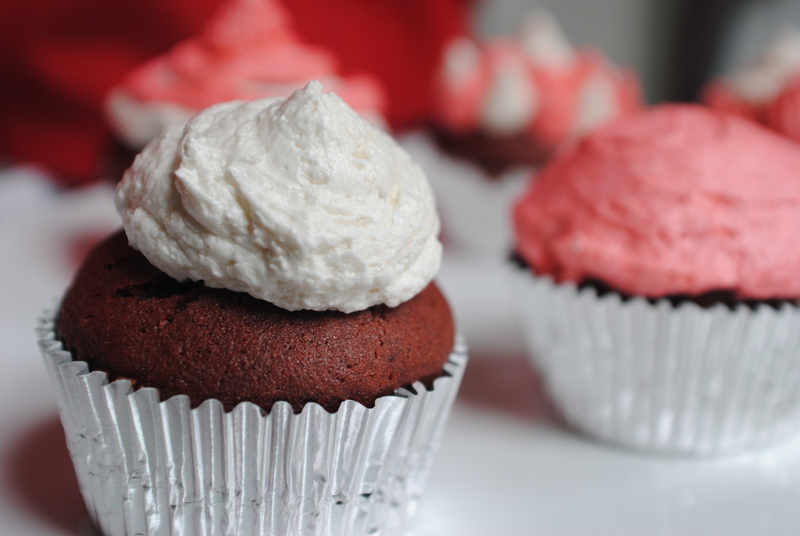 The cake in this cupcake is truly divine – both moist but light, full of cocoa flavor but not too chocolatey. Several friends who have no gluten or dairy problems could not tell that they are both, one even suggesting I match it up with a gluten-full cake and blind taste test some people for the fun of it. Please try it, and tell me what you think. I dubbed it Little Red Velvet Riding Hood Cupcake. But if you just wanna call it Mmmmm, that’s okay too. Recently I’ve been calling it “Oh my Dog!”, while it’s still in my mouth. Now, the only reason I’m reposing this cupcake is because of the frosting issue. The first I tried was lovely – a sweet vegan “cream cheese” frosting – but it came out more like a glaze, and no amount of whipping or refrigerating gave it a stiff enough consistency for me to pipe or even pile high. So I tried a Vegan Fluffy Buttercream Frosting recipe from Isa Chandra Moskowitz and Terry Hope Romero and BOY-OH was I happy! Insanely easy and amazingly fluffy, the frosting stayed stiff enough to pipe with several different tips long after I had colored it and bagged it. Because it’s made with vegan butter and shortening – which are obviously both vegetable-oil based – it whipped easily at any temperature and functioned well. And the taste! Like a classic butter-cream it tastes primarily like sugar and vanilla. But unlike butter-cream it didn’t taste overpoweringly so. The shortening gave it enough body so that the sugar content was slightly lower. Don’t get me wrong – this is very sweet. As someone who struggles with hypoglycemia, I did a decent job at staying away (after one cupcake of course!) But it’s not going to overwhelm your taste buds nor distract from the cupcake you put it on. And because of the light and fluffy consistency, it particularly matched the classy cake underneath it and would do as well with a rich chocolate – ooh, or banana! 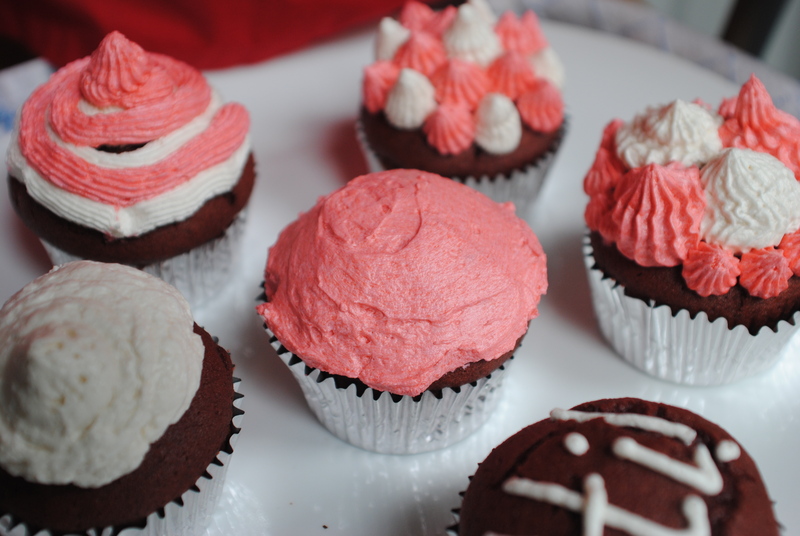 The recipe is from Vegan Cupcakes Take Over the World, by Isa Chandra Moskowitz and Terry Hope Romero. Click on the title above for their recipe. Thanks for your marvelous posting! I genuinely enjoyed reading it, you might be a great author. and without a doubt, you’ve hit the nail on the head. The issue is something that too few people are speaking intelligently about. I am very happy I stumbled across this during my hunt for something concerning this.